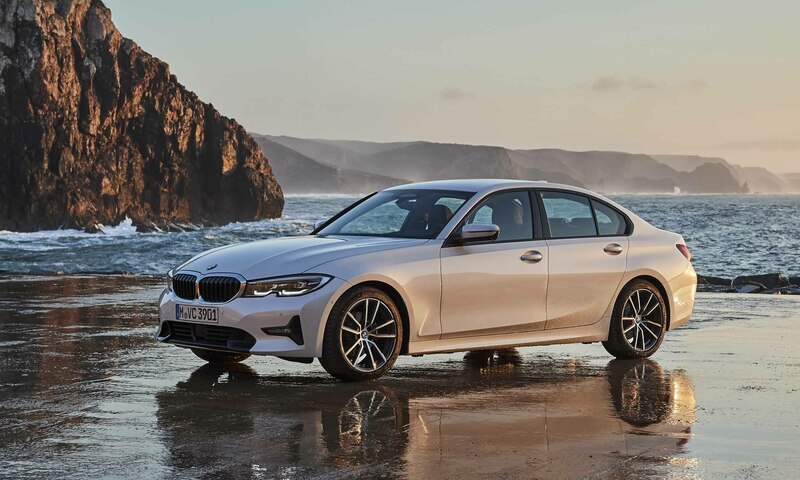 On U.S. roads for more than 40 years, the BMW 3 Series has become the benchmark when it comes to sport sedan performance — the single model at which all aspiring competitors take aim. 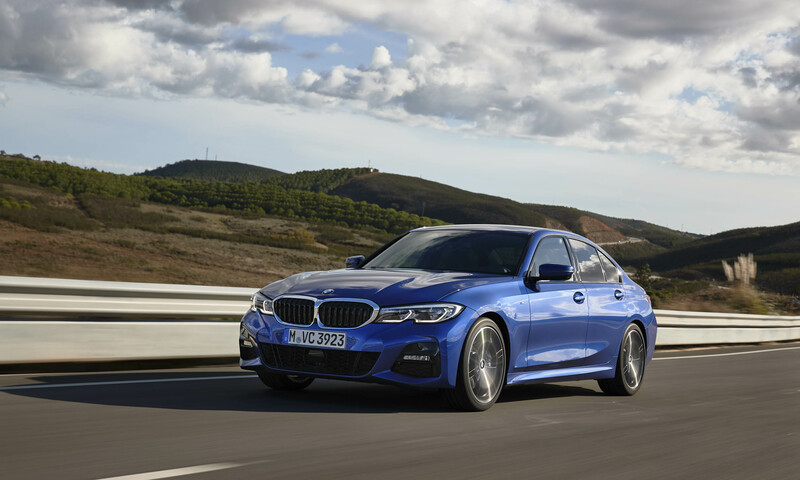 With that focus, competitive models have continued to improve, and the latest generation of the 3 Series has received some criticism from driving enthusiasts for not being up to expectations. 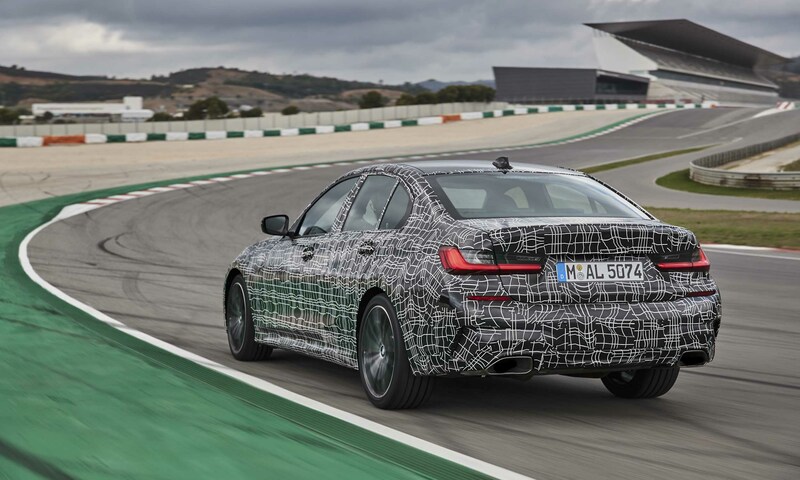 With that in mind, BMW set out to improve the driving dynamics of the 2019 3 Series and move back to its customary position at the top of its class. 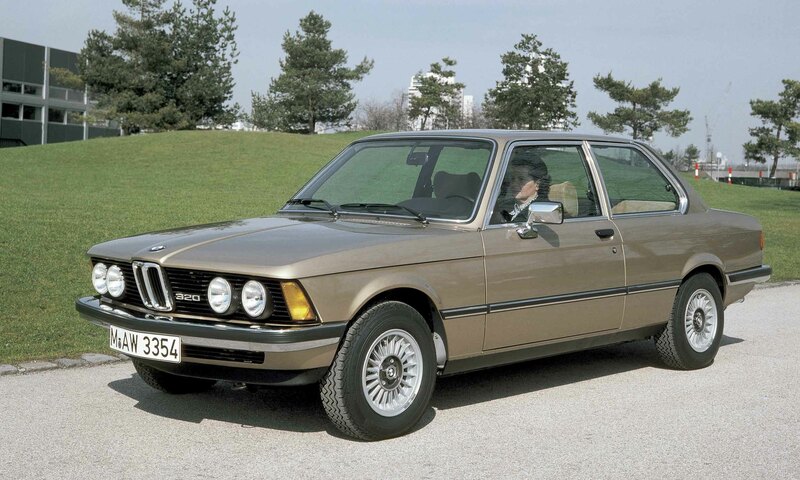 The best-selling BMW model line ever, the original 3 Series debuted in 1975 and first came to the U.S. market in 1976 as a 1977 model. 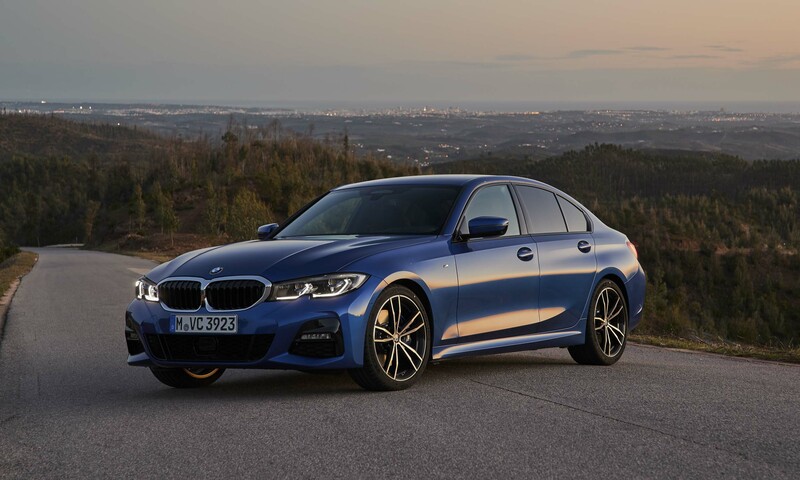 More than 15 million 3 Series have been sold worldwide and no other single model was more significant in establishing BMW’s reputation for fun-to-drive sport sedans and the best driving dynamics in the industry. 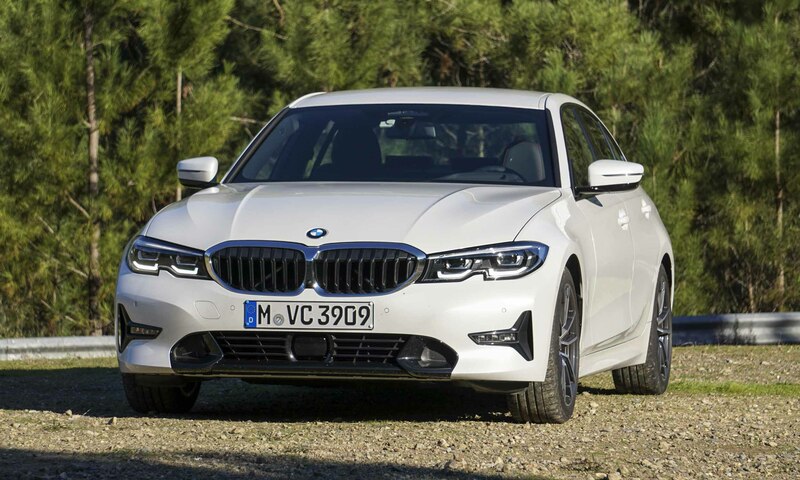 Today BMW offers an array of sport-utility vehicles, sedans, coupes and convertibles, but the new seventh-generation 2019 3 Series is still the most important model in the BMW lineup. 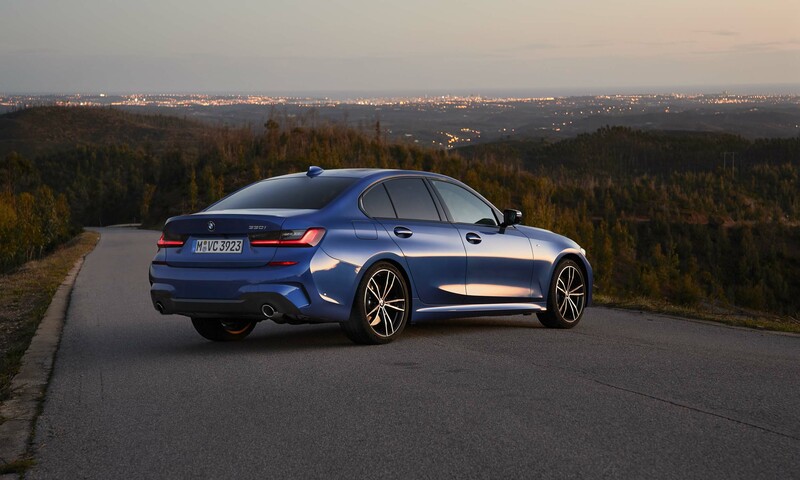 The 2019 3 Series will arrive in March 2019 as the 330i, followed in summer 2019 by the 2020 M340i. Both the 330i and the M340i will be offered in rear-wheel drive or with the newest version of BMW’s xDrive all-wheel drive. 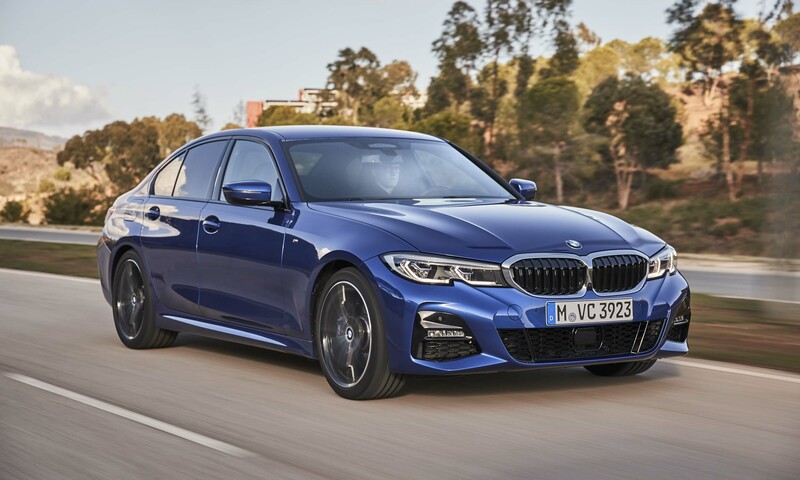 The 330i will be offered in Sport Line, Luxury Line and M Sport configurations with a starting price of $40,250 plus $995 destination for 330i and $42,250 plus $995 destination for the 330i xDrive sedan. When the M340i arrives it will start at $54,000 plus a $995 destination, and the M340i xDrive will start at $56,000 plus $995 destination. The plug-in hybrid 330e will be added in 2020. 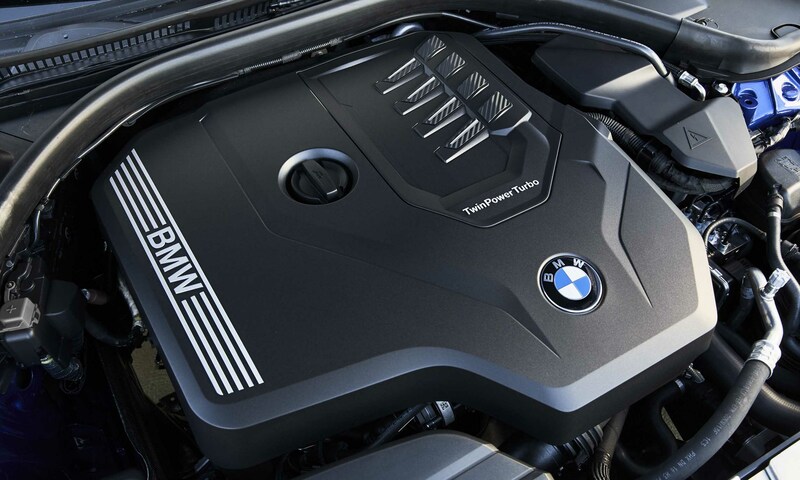 The 330i is powered by an updated 2.0-liter TwinPower turbocharged engine producing 255 horsepower and 295 lb-ft of torque — an increase of 7 horsepower and 37 lb-ft of torque compared to the previous version. The new engine is lighter and more efficient, including a twin-scroll turbo integrated with the exhaust manifold, dual injection, high-pressure fuel pump, less complicated accessory belt design, more efficient timing chain design and a split cooling system to warm the oil faster after startup. 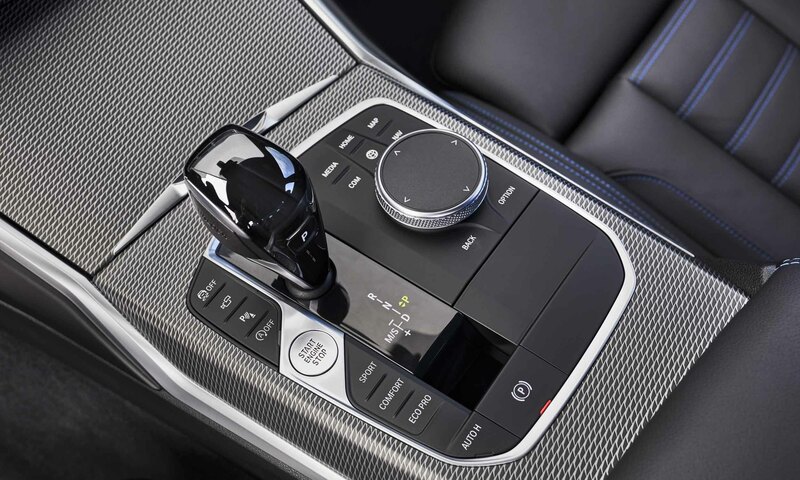 The standard transmission is a new 8-speed Sport Steptronic unit with shorter lower gear ratios for improved acceleration, a new electronic control unit, shorter shift times, a launch control function and paddle shifters for manual shifting. BMW quotes a zero to 60 mph time of 5.6 seconds for the 330i. 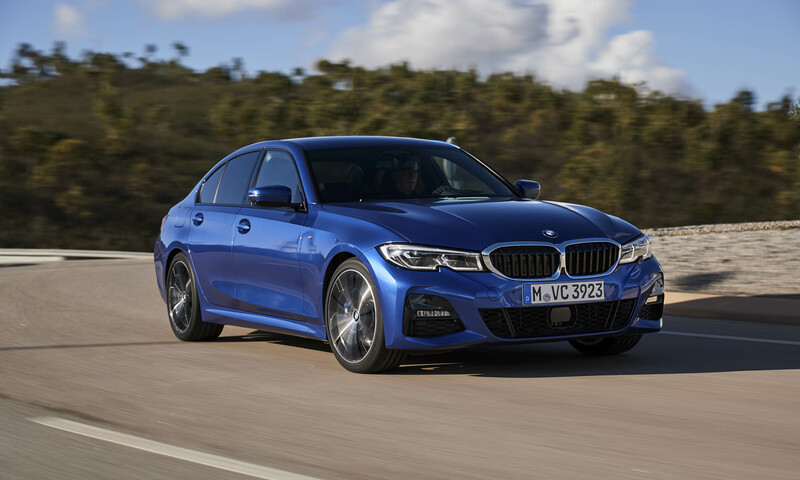 For the first time ever, the BMW 3 Series will not be offered with a manual transmission, which will surely upset some long-time BMW enthusiasts. But the fact remains that modern automatic transmissions have become so good that there is no longer a performance, efficiency or control advantage with a manual transmission. And shifting manually with the column-mounted paddles is so quick and smooth that even the most accomplished driver cannot replicate the efficiency of an automatic transmission over a manual gearbox. It’s a sea-change for sure, but also the future of performance vehicles. 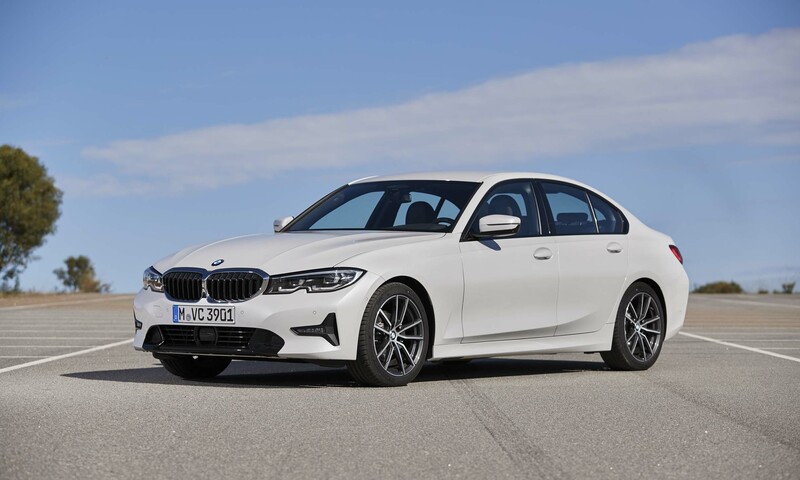 BMW’s new M Performance variant, the M430i is powered by a revised 3.0-liter TwinPower turbocharged inline 6-cylinder engine producing 382 horsepower and 369 lb-ft of torque that features an aluminum crankcase and aluminum cylinder head. A new single, Twin-scroll turbocharger with a compact, integrated steel exhaust manifold includes lighter weight impellers to build boost pressure more rapidly. 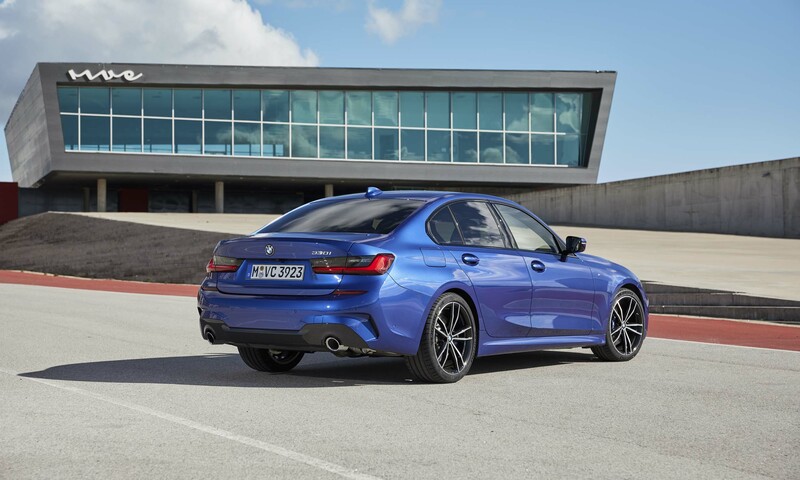 The M430i also utilizes 8-speed Sport Steptronic transmission with standard M Sport limited-slip differential and optional xDrive. 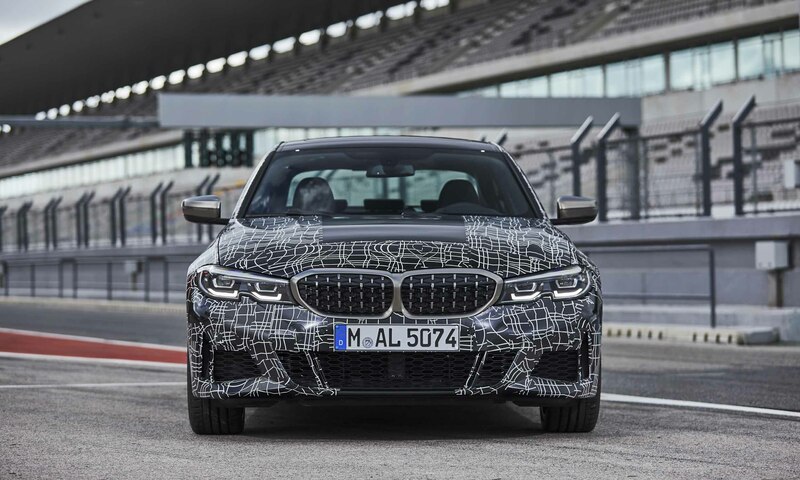 The new 3 Series design adds larger BMW kidney-shaped grilles surrounded by a single-piece frame that connects to the new, slimmer headlights. The headlights contain dual lighting elements and the shape of the lower edge on the light units is a tribute to the earlier E46 3 Series design. 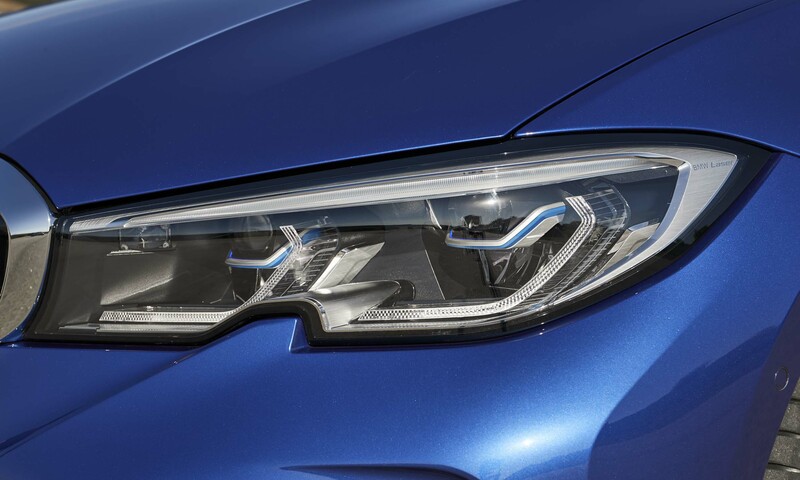 Full-LED headlights are standard, and optional adaptive LED headlights with BMW Laserlight include hexagonal daytime running lights and blue L-shaped elements in the headlight unit. 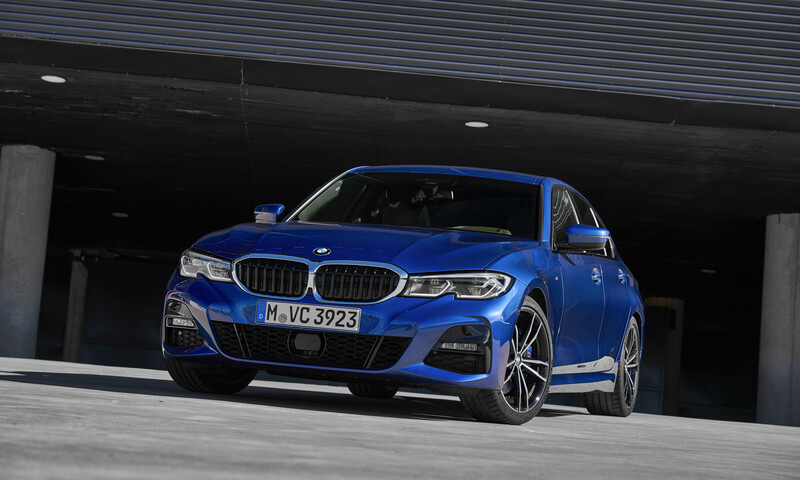 The new 3 Series hood includes four contour lines that flow forward to the kidney-shaped grille, and the front bumper contains horizontal T-shaped outer air intakes that also integrate optional fog lights. In profile, two lines at door-handle level rise up to the rear, and a line at the side skirts draws attention to the rear wheel arches. 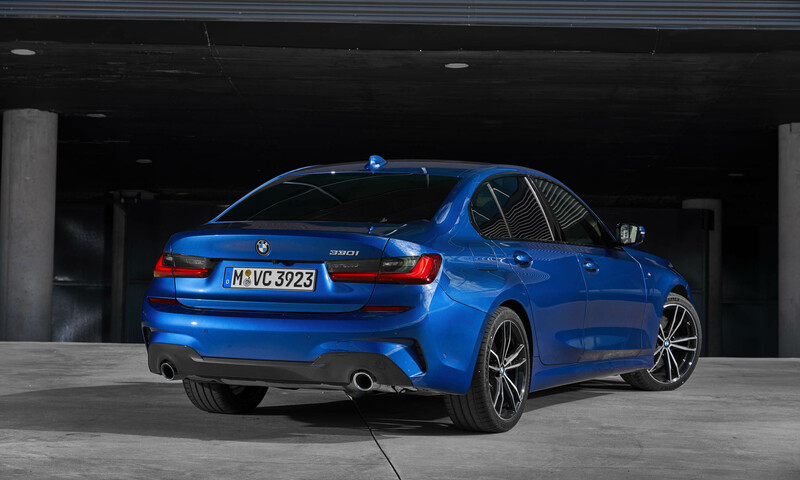 The Hofmeister kink — a signature BMW design element at the rear of the side window frame — has been moved to the C-pillar to give the rear doors a clean glass edge. 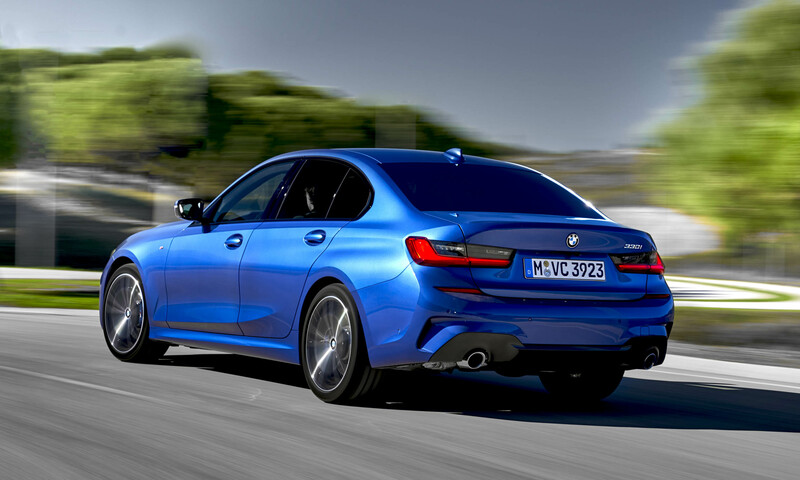 The 3 Series side surfaces flow into the rear bumper, and the lower skirts extend upward through the rear lights to a spoiler lip on the trunk lid. The rear design features horizontal lines for a wide stance, complemented by thin, dark light units that include L-shaped LED taillights. The outer edges of the bumper include T-shaped elements with reflectors that echo the design of the front air intakes. The front and rear bumper designs vary with Sport Line, Luxury Line and M Sport. 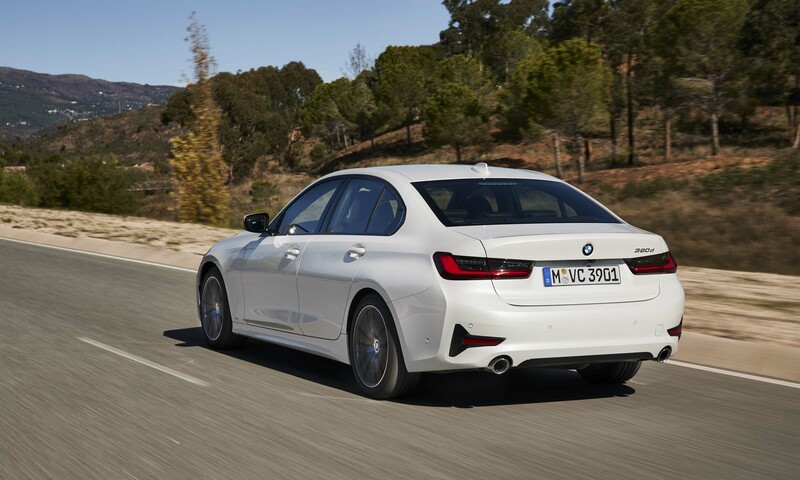 The new 3 Series is 2.9 inches longer, 0.6 inches wider and 0.5 inches taller than the previous model. The wheelbase is 1.6 inches longer with the front track increased by 1.7 inches and the rear track by 0.8 inches. Weight has been reduced up to 121 pounds depending on equipment, with a 50:50 front-to-rear weight distribution. Overall the chassis is 25 percent more rigid. 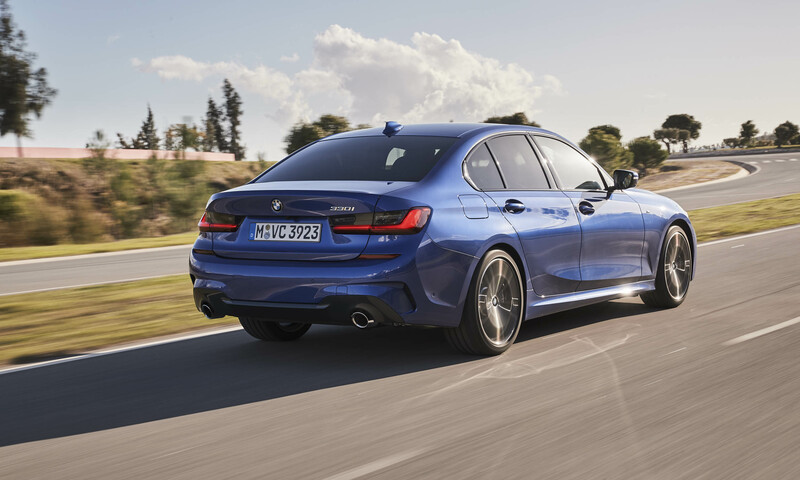 The 2019 3 Series is the first BMW model to include new shock absorber technology with lift-related dampers that add additional hydraulic damping at the front and a compression-limiting system at the rear. The new shock absorbers are continuously variable and adjust the damper firmness progressively to help tune the car’s handling and steering dynamics for a unique balance between sportiness and comfort. 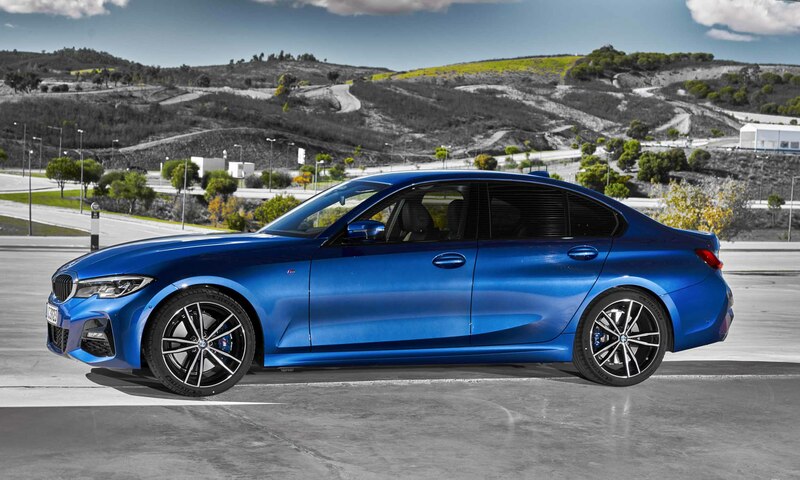 Both the standard and optional M Sport suspensions include the lift-related damping technology. 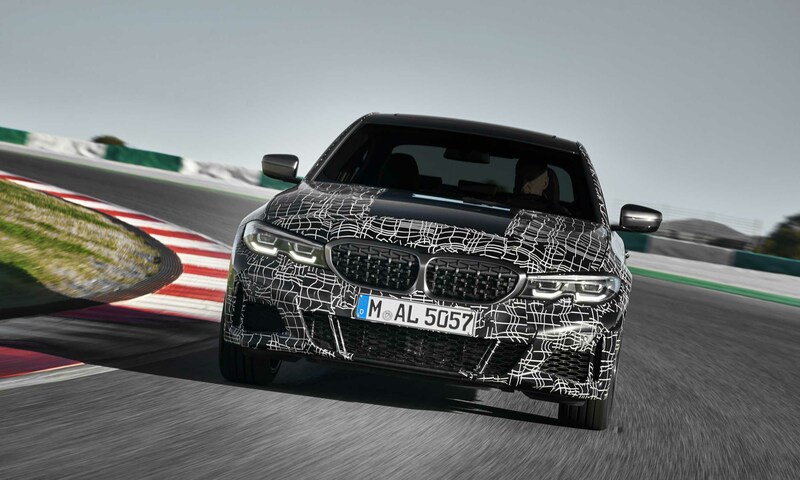 The optional Adaptive M suspension combines the characteristics of the M Sport suspension with electronically-controlled dampers to adjust damping force separately at each wheel. Available performance options include M Sport high-performance lightweight brakes, M Sport differential and variable sport steering. 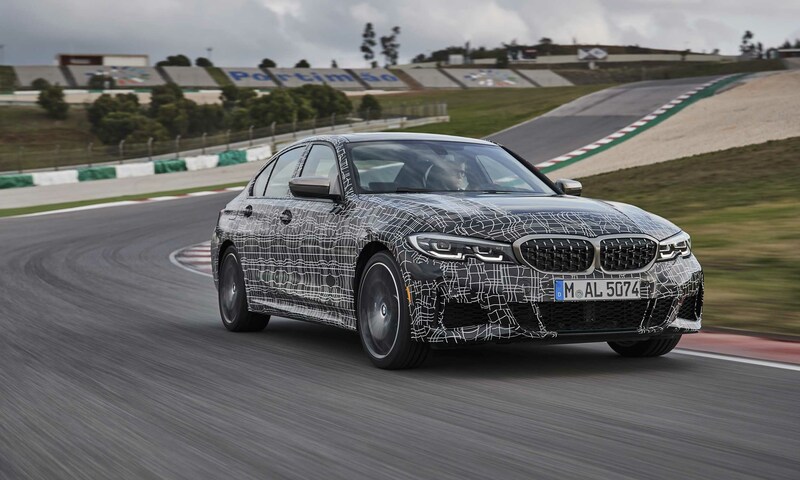 Inside, BMW designers describe the new 3 Series as more modern, but to us it also harkens back to a clean, more simple design aesthetic found in BMWs of the ‘70s and ‘80s. The new interior emphasizes horizontal lines and spaciousness with electro-plated trim and lines that extend into the door panels, as well as a high center console. A large screen contains the instrument cluster and central control display with the tachometer on the right reversed to counterclockwise to create more space in the center. 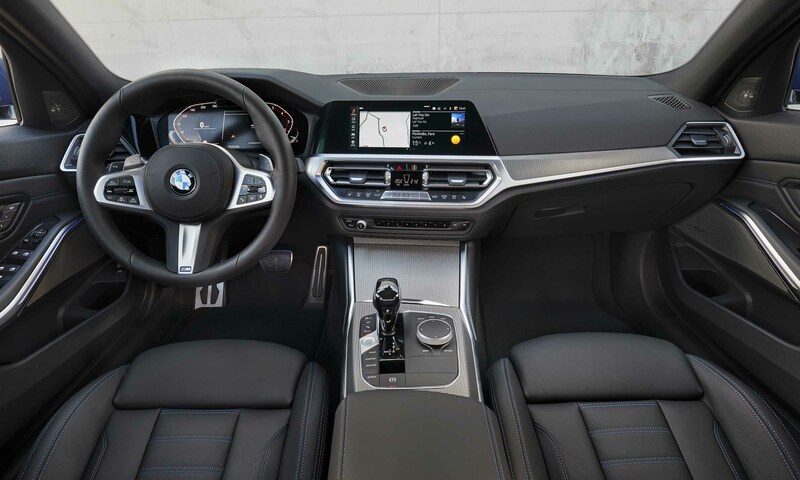 Driving functions are grouped in the center console, including the start/stop button, a new selector for the automatic transmission, iDrive controller and buttons for the Driving Experience Control switch. Entertainment, navigation and other vehicle functions are housed in the center stack under the center vents with the large display screen above the vents at the same height as the instrument display. 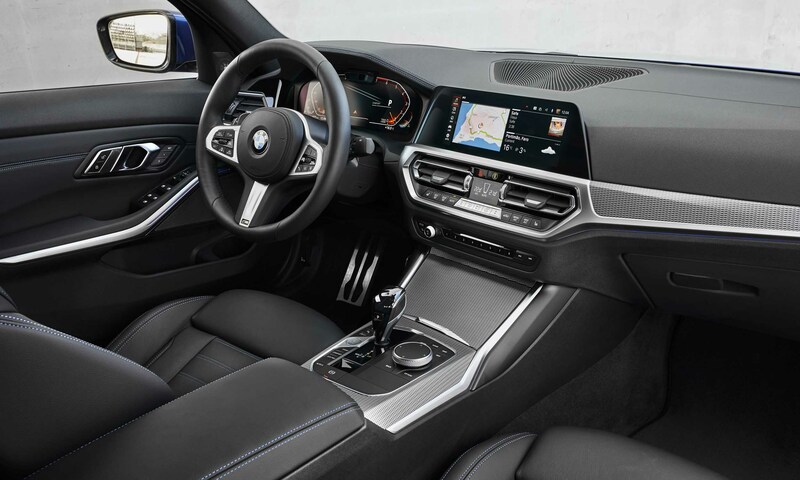 The standard BMW Live Cockpit includes an 8.8-inch touchscreen and a 5.7-inch digital instrument display. 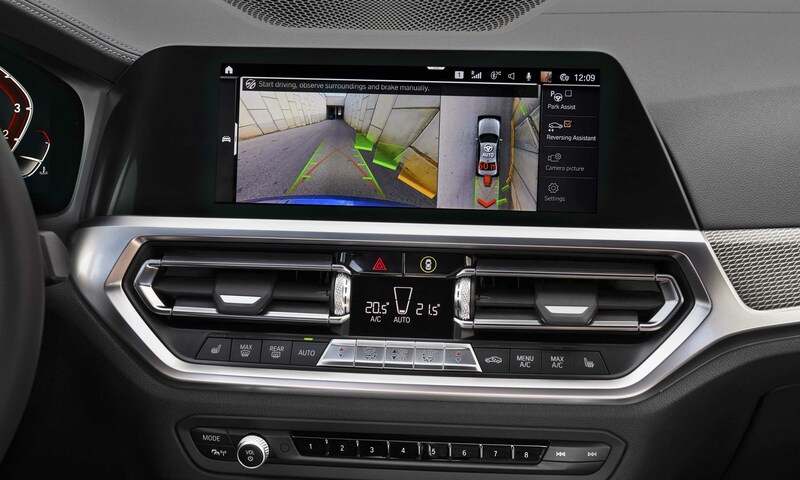 The optional BMW Live Cockpit Professional includes BMW iDrive 7.0, a 12.3-inch high-resolution digital instrument cluster and 10.25-inch digital touchscreen Control Display. 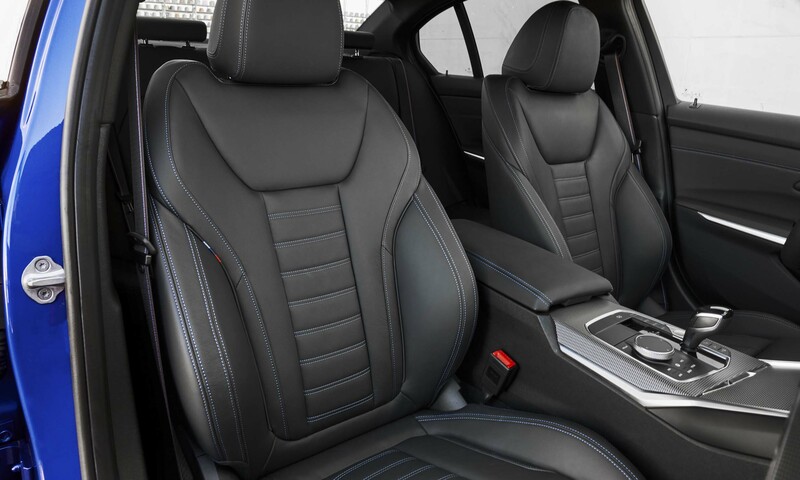 The driver and front-seat passenger receive standard sport seats; a leather-wrapped sport steering wheel is also standard. Vernasca leather is available as an option in a choice of five colors, and seat quilting and seam patterns vary depending on trim level. 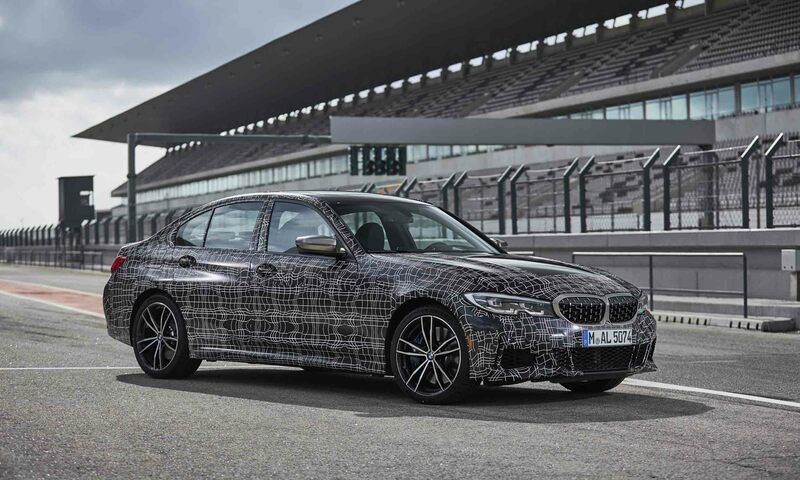 BMW has worked to lower the sound level in the cabin with sealed seams, an acoustic windshield and additional sound-absorbing materials. 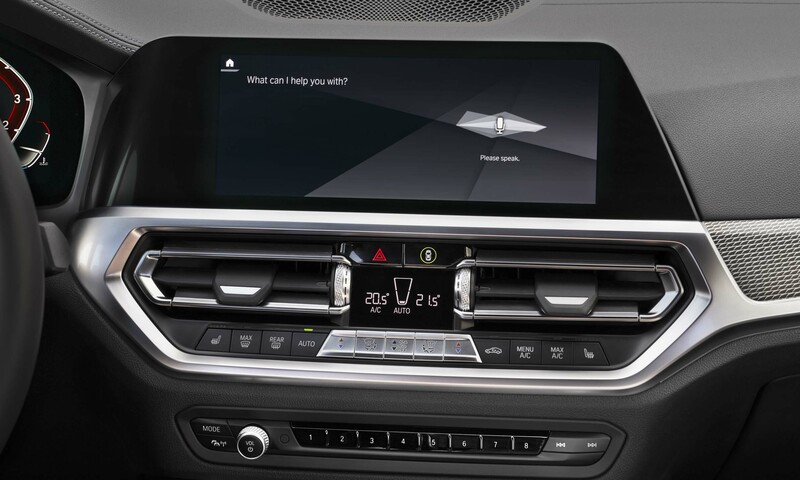 BMW premieres the BMW Intelligent Personal Assistant with the 2019 3 Series as a new way to interact with the car to access vehicle information, explain vehicle functions, adjust settings and other functions. A simple “Hi BMW” or “Hello BMW” will activate the voice interface, and for the those who love to name their car, the Personal Assistant can also be named. “Hey BMW, I feel tired” will activate a vitality program, changing the lighting, music and temperature including blowing cold air toward the driver. Personally, we don’t feel the need for an assistant in a sport sedan, but those who love the latest technology will enjoy learning what it will do. This package includes automatic parking for either parallel or perpendicular parking and can be used to exit parallel parking spots. It also includes Back-Up Assistant, which stores the steering movements for the last 50 yards the car is driven at less than 22 mph. The Back-Up Assistant can be used to reverse out of tight spaces or when visibility is limited. Using the stored steering information, the car reverses along the exact same line the car followed on the way in, while the driver operates the brake and the accelerator with speeds limited to 5.5 mph. BMW invited us to be one of the first to drive the new 3 Series in the Algarve region of Portugal. 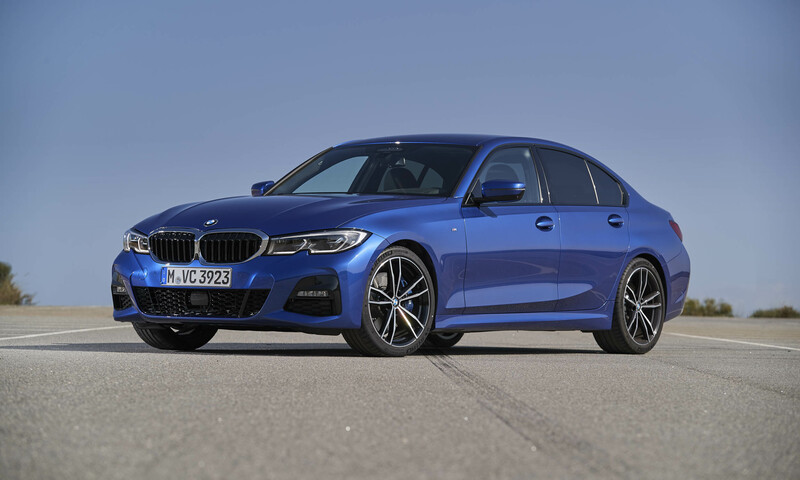 Our test car was a 330i M Sport with standard M Sport suspension, standard variable sport steering and optional M Sport limited-slip differential. The standard sport seats felt immediately comfortable, as well as the driving position and overall layout of the controls, although the steering wheel diameter is a bit too fat for our tastes. The 2.0-liter engine produces a nice level of power for this car, developing peak torque at 1550 rpm. With the lower gearing, the 330i is quick off the line and the 8-speed automatic does an excellent job holding the lower gears when in Sport mode. Gear shifts are very quick with virtually no interruption in power delivery. The lower interior sound level is noticeable with just the right amount of engine sound and a distinctive exhaust note in Sport mode. 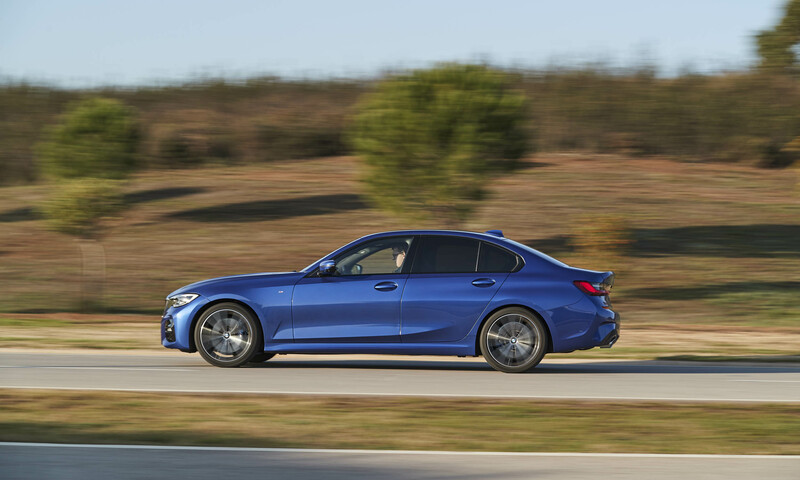 BMW worked hard to improve the driving dynamics of the new 3 Series, and the 330i M Sport is fun to drive. It feels great on winding back roads; the sport suspension is firm but well controlled and not too harsh, even on rough surfaces. 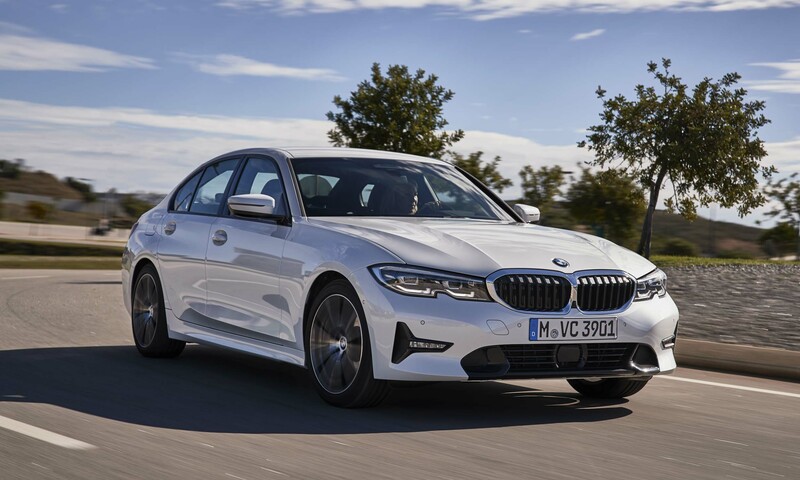 The steering is responsive and direct, with good feel for an electric-assist system, although it will never have the direct feedback of an early-generation 3 Series. But the feedback experienced is consistent and gives a good indication of the relationship between steering input and what the car is doing. The 330i M Sport feels like a big step over the previous generation and is a much more engaging car to drive, putting it back in position to compete with the best in its class. We also had the opportunity for a few laps in a prototype M340i xDrive at the Algarve International Circuit, commonly known as the Portimao Circuit. A technical track with lots of elevation change, Portimao was a perfect venue for the M340i xDrive with a long, high-speed straight, blind crests and a wide variety of turns from slow to very fast. 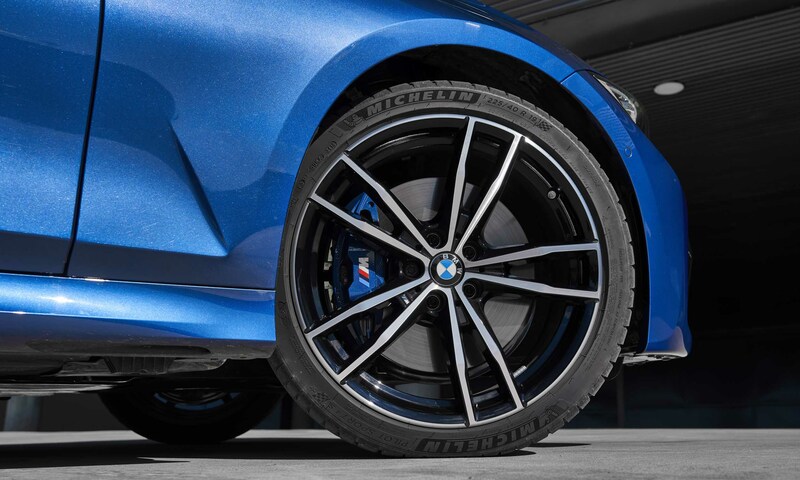 While the M340i xDrive is made for the street, it is perfectly at home on the track, especially with the advantage of standard M Sport limited-slip differential, optional xDrive all-wheel, optional Adaptive M suspension and Michelin Pilot Sport 4S tires. 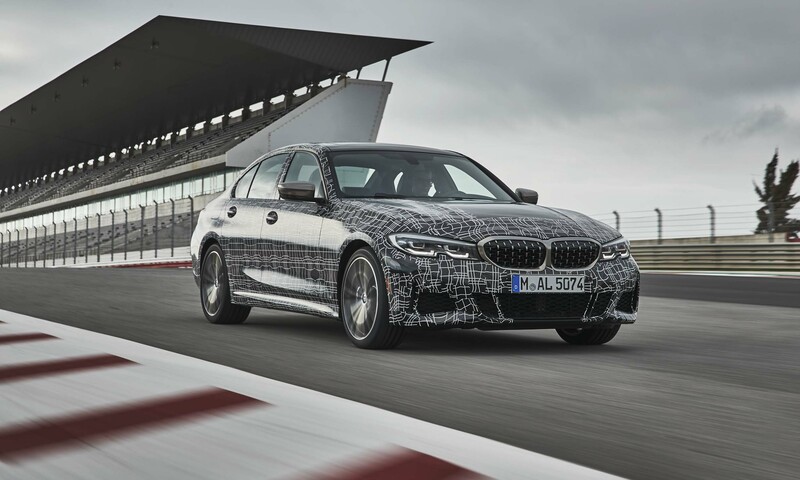 The cars we drove were still wearing camouflage from testing prior to the M340i debut in November at the Los Angeles Auto Show. 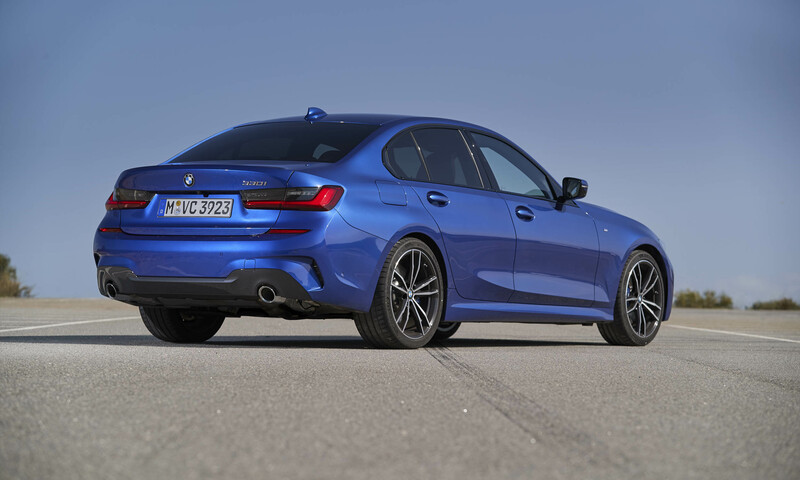 The M340i xDrive attacked the Portimao Circuit — with 382 horsepower it was very fast but also stable and balanced. 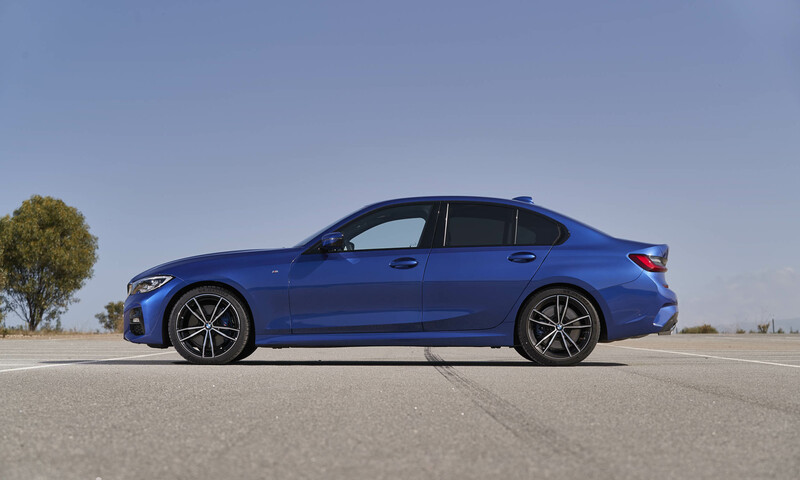 While learning a new racing circuit for the first time, the M340i xDrive inspired confidence in my abilities, and the performance-oriented xDrive is an asset in transferring power, maintaining balance and putting the power down — even when mistakes are inevitably made. When the driver turns into a corner too early or gets on the power too abruptly, the system will shift power to the front wheels to pull the car through the corner, while also direct power to the outside rear wheel to push the car into the turn. Electronic magic, yes — but it sure helps correct mistakes while learning a new circuit. With performance at this level, what will the next M3 be like? 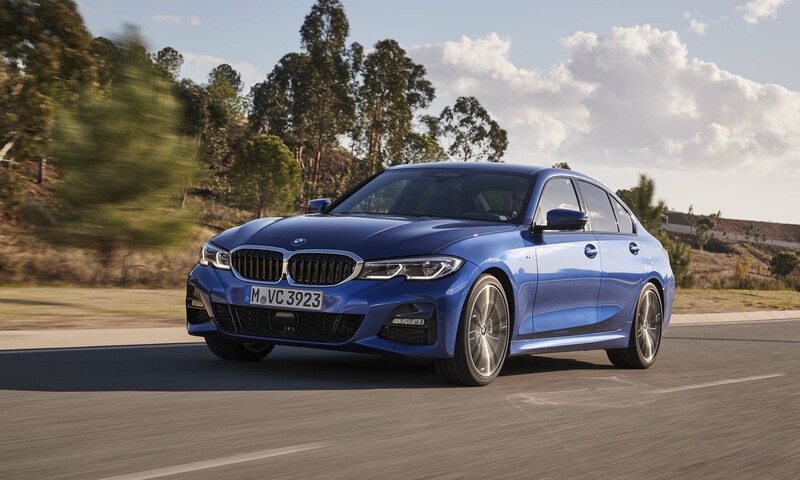 If you’re looking for a sport sedan that can carry five and perform all daily functions, but is still fun to drive on your favorite back roads, the new 3 Series will do both. 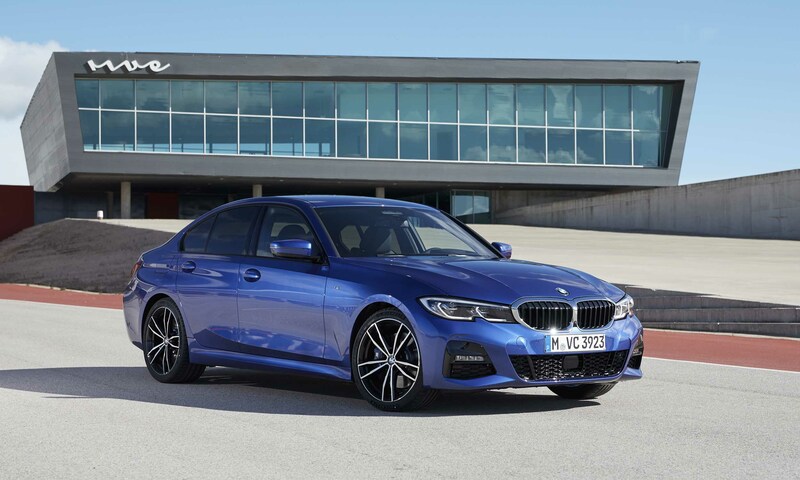 The 330i M Sport has decent power and the sport suspension delivers balanced driving dynamics without being too harsh for everyday use. 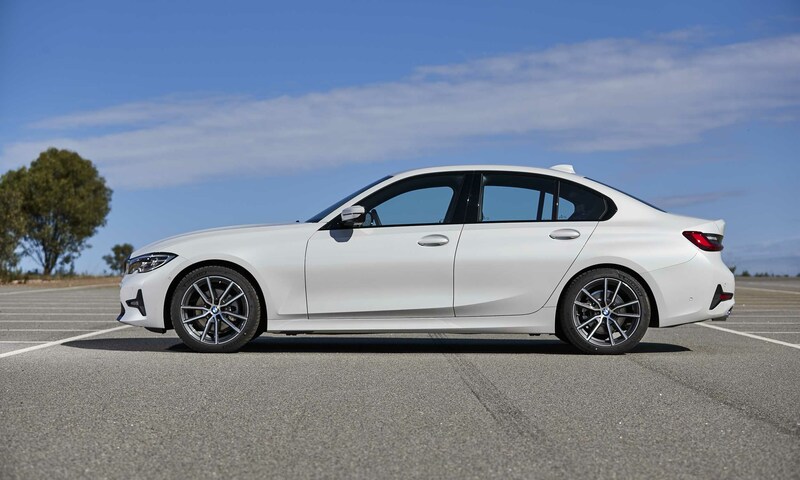 If you’re looking for some occasional track time but don’t already have a track car, the M340i is ready for the track. two excellent engine choices; sport seats, sport steering wheel standard. Cons: No manual transmission; sport steering wheel diameter is a little too fat. Bottom Line: BMW’s all-time top seller has its mojo back with improved driving dynamics, an updated design and more interior room. 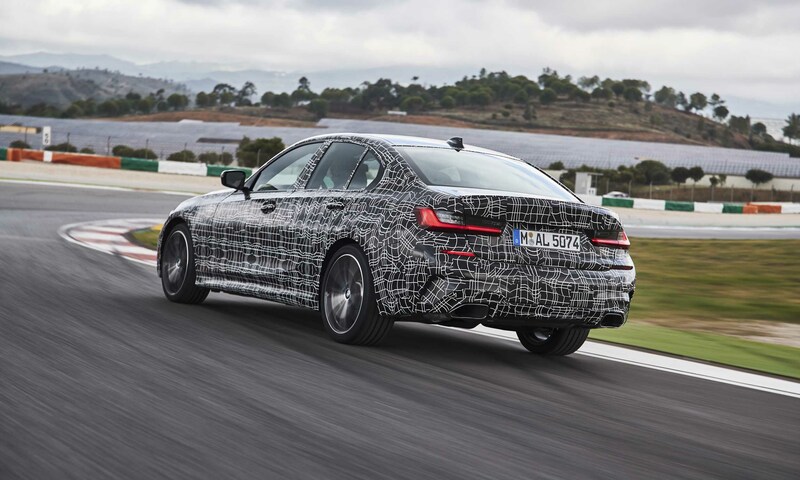 The post 2019 BMW 3 Series: First Drive Review appeared first on autoNXT.net.